Pharmacom Labs short-acting + long-acting nandrolone formula was missing something. Pharmacom Labs has a good track record of producing relatively accurately dosed products. So it was somewhat surprising to see an AnabolicLab report where Pharmacom NOLT 300 failed to meet its label claims. First of all, let’s examine the good news. 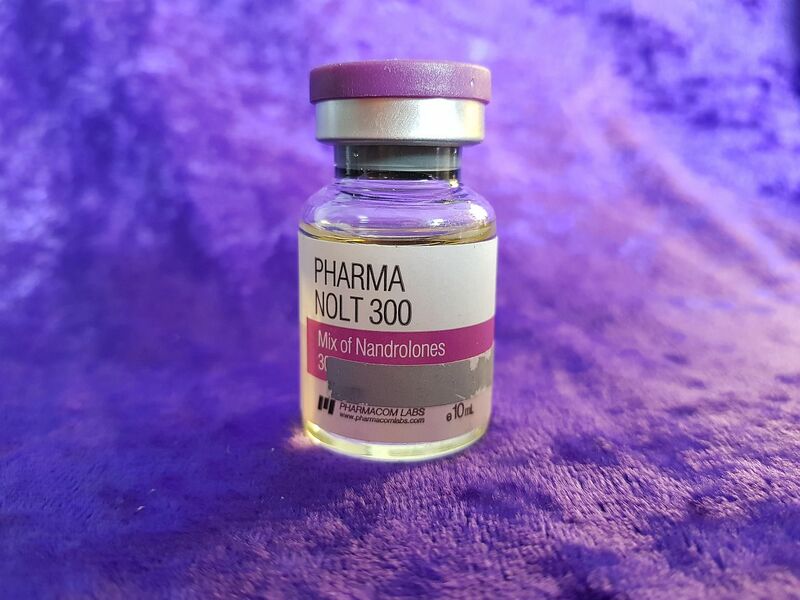 NOLT 300 is supposed to contain 300 mg/ml of a blend of 4 nandrolone esters. The laboratory analysis revealed that NOLT 300 did actually contain 292.5 mg/ml. Unfortunately, the blend only included 2 nandrolone esters. 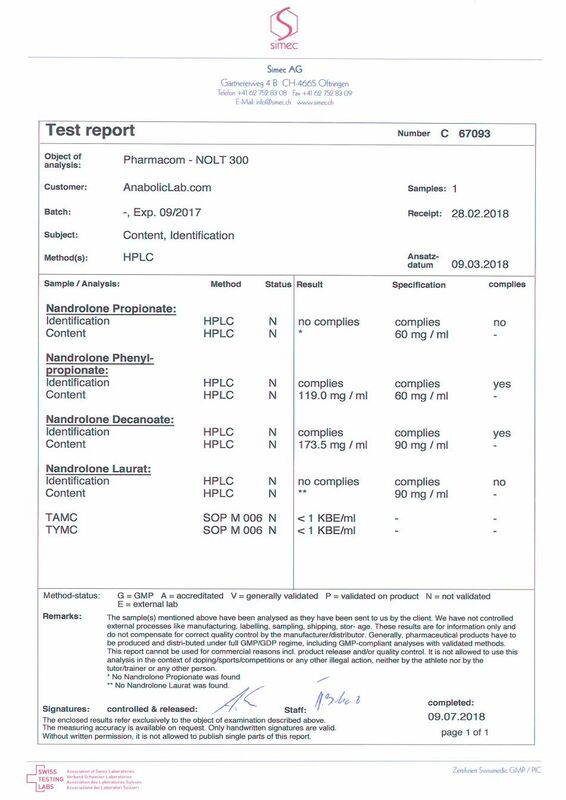 Now, the bad news… NOLT 300 contained 119 mg/ml of nandrolone phenylpropionate compared to a label claim of 60 mg/ml and 173.5 mg/ml of nandrolone decanoate compared to a label claim of 90 mg/ml. It did not contain any nandrolone propionate or nandrolone laurate as listed. “Our production improved the formula to prevent pips. We have to apologize for not updating info on site and on boards, its`s our fault. We ordered new labels. We agree that the original formula of two short-acting nandrolone esters and two long-acting nandrolone esters was poorly conceived. It is unlikely that anyone would have ever noticed any difference between the original formula and the new formula. The original formula did not accomplish anything more than the new formula plus it increased the post-injection pain. But most importantly, we note that truth in advertising is paramount.